Josie is a London born student currently living and studying in Brighton. We all need somewhere to go when we've barely got any money left and nothing more than a mouldy slice of bread and some shrivelled grapes left in the fridge. As a student, I find myself in this position more than I would like to admit. Pompoko has swiftly become one of my favourite places to eat in Brighton. The ideal place for a lazy Saturday afternoon, it's an independent Japanese restaurant tucked away just beside the Brighton Dome. On mild days, which are rare now we've entered November but hopefully will come around again soon, sitting outside the restaurant and taking in the scenes of the North Laines is oddly calming. Watching people bustle past, getting on with their busy lives, wrapped up in their own chaos. It's a nice distraction from the stress of University or work (or both). The inside is equally comfortable and charming, though, with a hidden second level of seating if the bottom floor is full up. It doesn't look like much from the outside but the interior is unexpectedly quaint. With its purchasable memorabilia hanging on the walls, the aesthetic is definitely unique. The warm and welcoming staff are a much appreciated added bonus, too. I'm rarely feeling fancy enough to commit to a long sit-down meal – but, at the same time, grabbing a sausage roll from Greggs isn't always as satisfying in reality as it may seem in my head. 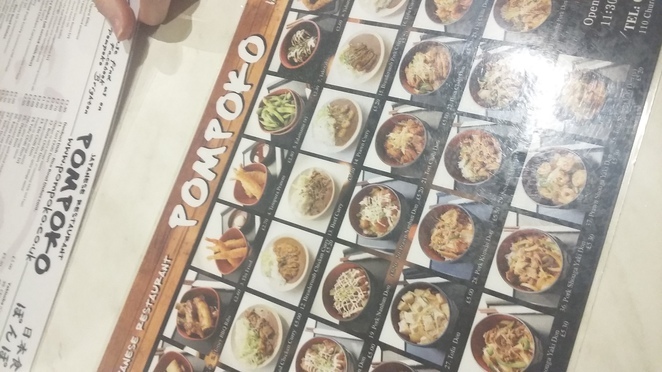 Pompoko is the perfect in between. It's warm and cosy inside, providing relief from the bitter temperatures we're currently experiencing in Brighton, as well the ideal place to rest your legs after a long day. However, it is far from an extensive occasion. The food is served within five minutes of ordering so you can enjoy the deliciousness without having to sacrifice your entire evening. They even do take away if you can't spare time to sit down. The actual food is so spot-on, I'm pleasantly surprised every time I visit. Think Wagamama flavours but without the inflated prices. There's an abundance of choice and definitely something for everyone. The winners for me are the rice dishes. They're so filling, I can barely finish them. If that's not your thing, noodles are also on offer. And pretty much anything you can think of to top them – chicken, pork, beef, prawns or tofu, all cooked to Japanese perfection. My regular order? 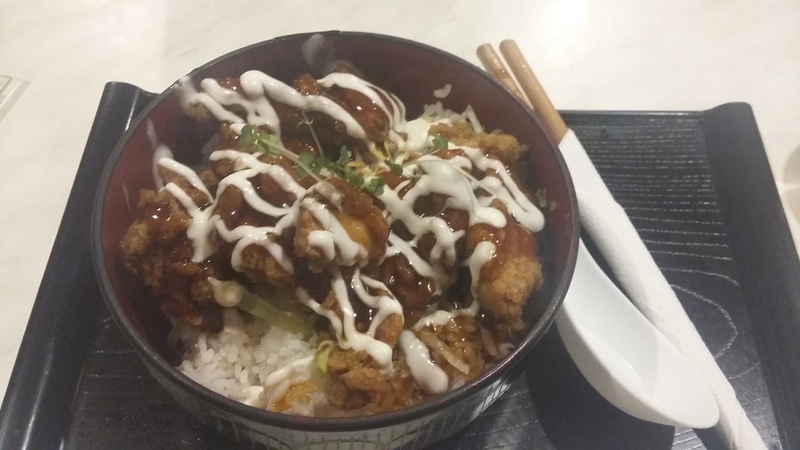 A hefty bowl of faultlessly seasoned teriyaki chicken and rice for just a fiver. Even broke students struggle to argue with that. I would definitely recommend checking out Pompoko if you find yourself wandering through Brighton's North Laines and are in need of hot meal, fast. Consistently tasty food that won't break the bank. In other words: a student's dream.